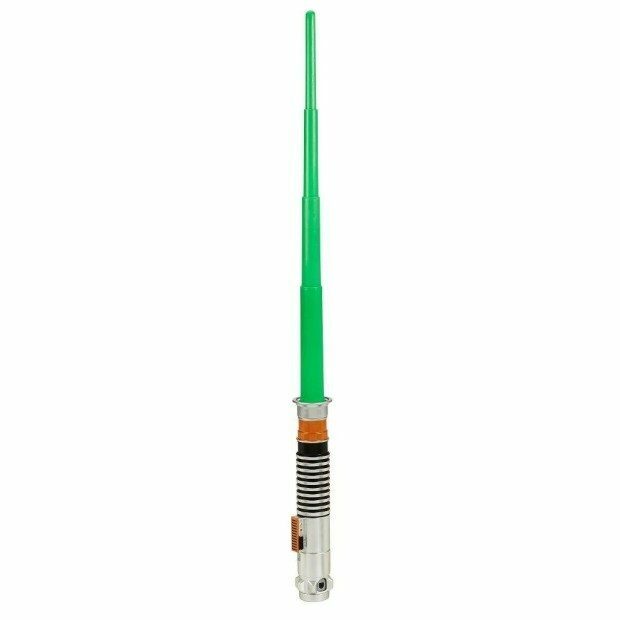 Star Wars Return of the Jedi Luke Skywalker Extendable Lightsaber Only $7.88! You are here: Home / Great Deals / Amazon Deals / Star Wars Return of the Jedi Luke Skywalker Extendable Lightsaber Only $7.88! Everyone in my household has one of these, from me down to my 2 year-old granddaughter! And we have tons of fun playing with them! Head over to Amazon to order the Star Wars Return of the Jedi Luke Skywalker Extendable Lightsaber for Only $7.88! It will ship for FREE on orders of $35+ or if you are a Prime member!